Herbert W. Armstrong would have been 116 today. This morning, the anti-COG Ambassador Watchsite basically reminded everyone of Herbert Armstrong’s birth and mockingly referred to July 31 as a “sacred date”–which of course it is not. The site then promoted something unflattering about Herbert W. Armstrong. Even though we in the COGs generally do not celebrate birthdays (see also the article Did Early Christians Celebrate Birthdays? ), I felt since HWA is once again being maligned, that it would again be a good time to remind people that although Herbert Armstrong was a fallible human being, that most of the accusations and charges that anti-COG types seem to like to relish about him are false. Those interested in the truth about the oft repeated accusations against HWA on the internet can read the article 15 Accusations and Truthful Responses About Herbert Armstrong. But I do not want to focus on that. The truth is that God used Herbert Armstrong to restore much truth to the true Church of God. Over the decades that I have been associated with the Church of God, I have repeatedly found both biblical as well as historical proof that the truths that were restored were in fact true. And in fact, the early church did teach them. Did You Know What the First Changes the Tkach Administration Made?Some have said healing, others other subjects, but probably the first change had to do with eliminating being part of the Philadelphia era. This article documents what those changes were and compares the Tkach list of restored truths to HWA’s list of restored truths. 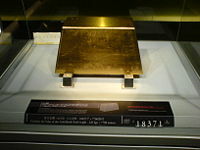 It contains many quotes from HWA. History of Early Christianity Are you aware that what most people believe is not what truly happened to the true Christian church? This page has articles documenting many beliefs of the early Church–and all these are doctrines that HWA taught. Furthermore, while Protestants like to point to leaders like Martin Luther and John Calvin, the truth is that unlike them, Herbert Armstrong was not involved in getting people killed–the true church does not do that (see Military Service and the Churches of God: Do Real Christians Participate in Carnal Warfare?). The same is true about many Roman Catholic Popes who instituted persecutions in forms such as the Inquisition. Some information on what those non-COG leaders have done to others throughout history may be found in the article Persecutions by Church and State. Sola Scriptura or Prima Luther? What Did Martin Luther Really Believe About the Bible? Though he is known for his public sola Scriptura teaching, Martin Luther’s writings about the Bible suggest he felt that prima Luther was his ultimate authority. The Similarities and Dissimilarities between Martin Luther and Herbert Armstrong This article clearly shows some of the doctrinal differences between in the two. At this time of doctrinal variety and a tendency by many to accept certain aspects of Protestantism, the article should help clarify why the COG is NOT Protestant. Which Is Faithful: The Roman Catholic Church or the Church of God? Do you know that both groups shared a lot of the earliest teachings? Do you know which church changed? Do you know which group is most faithful to the teachings of the apostolic church? This documented article answers those questions. Some Similarities and Differences Between the Orthodox Church and the Churches of God Both groups have some amazing similarities and some major differences. Do you know what they are? Do You Believe God Used Herbert Armstrong to Raise Up the Philadelphia Era of the Church of God? Nearly everyone while in WCG used to believe this, most do not seem to anymore. Should the Church Still Try to Place its Top Priority on Proclaiming the Gospel or Did Herbert Armstrong Change that Priority for the Work? Some say the Church should mainly feed the flock now as that is what Herbert Armstrong reportedly said. Is that what he said? Is that what the Bible says? What did Paul and HWA expect from evangelists? This is what I encourage readers of this website to do. MOSCOW: For many Russians, it is bad enough that the president of Ukraine is pushing to join NATO and to eject the Russian Navy from its Black Sea port. But over the weekend, the confrontation over Ukraine’s attempts to shrug off Russian influence reached an even more painful emotional pitch – with a new tug of war over history, identity and power.President Viktor Yushchenko of Ukraine chose the 1,020th anniversary of the advent of Christianity in the Slavic kingdom that predated both Ukraine and Russia – a date that each country claims as a founding event of its nationhood – to issue a public plea for Ukraine’s Orthodox Christians to gain independence from the Russian Orthodox Church. The Ukrainian president – who claims that Russian agents tried to murder him with poison that left him with a pockmarked face – snubbed the Russian Orthodox Patriarch, Alexei II, giving him a businesslike handshake after warmly kissing Bartholomew on both cheeks. The Ukraine continues to try to move away from Russia. Some believe that the Ukraine will biblically share the same prophetic fate as Europe, while others believe it will go back to Russia. Europa, the Beast, and the Book of Revelation discusses the largest church since the second/third century, which in a real sense is the eighth church mentioned in the Book of Revelation (it also endorses “eighth day” worship). The July edition of UCG’s United News arrived last night. Its front page reported two sets of news indicating that UCG had a bad quarter for the period of April-June 2008. As reported earlier, the months of February (9.39 percent increase), March (8.78 percent increase) and April (6.8 percent increase) were all trending higher than the 2 percent increase in income that we were experiencing year to date. The last two months, however, have not been as encouraging. In the month of May regular mail income was down 4.9 percent compared to last year; and for the month of June (through June 25) income is down 2.8 percent compared to last year. While just a month and a half ago, I was confident that we would close the fiscal year with income $23,500,000 or higher, we will most likely end the year slightly less than that—somewhere between $23,400,000 and $23,500,000. Even with the sluggish last two months of the year, we still expect to end the year with close to a 2 percent increase in income over last year, and we can be thankful for that. The economy in the USA has been a bit rough this year and it would not surprise me if all COGs are impacted by it at some point. However, as UCG and LCG seem to be the most open on reporting their finances publicly of the larger COGs, it is hard to precisely determine how the others are doing (although David Pack’s RCG and Ronald Weinland’s CGPFK seem to be having less internet impact, see Declines of the False Apostle and False Prophet). Regarding responses to its Beyond Today telecast, UCG showed a chart that I will not attempt to replicate here. However, that chart shows a drop in responses “via phone or Web site per quarter” from about 3200 to about 2400 for the entire April-June 2008 quarter. As we begin the second half of the calendar year of 2008, our income is running over 6.5% year-to-date. This is slightly below budget, but is holding up reasonably well considering the gloomy economic forecasts and the cascade of bad world news in the various media outlets. This support shows that God’s people are focused and dedicated to supporting the Work. A very positive trend is the increasing number of donors, defined as those who have contributed once, and co-workers, defined as those who have contributed multiple times, who are contributing to the support of spreading the Good News. For example, in the USA, as of June 2008 our donors numbered 3,503 and our co-workers numbered 3,766 for a total 7,269 non-member contributors. It is only recently that the total number of donors and co-workers in the USA have totaled more than our worldwide membership of about 7,000. This represents a 12% increase in donors and a 13% increase in co-workers in the USA. We are very thankful for this fine growth. Wayne Pyle recently reported to me that over the last several months we are now receiving more than 3,500 responses to the telecast each week here in the United States—plus hundreds more overseas! So we are very grateful for the impact we are beginning to have. Much more needs to be done—as I think we all realize. Thus, per week LCG continues to reach more people than UCG does in a quarter. “He who has an ear, let him hear what the Spirit says to the churches” (Revelation 2:7,11,17,29;3:6,13,22). The Laodicean Church Era was predominant circa 1986 A.D. to present. Non-Philadelphians who mainly descended from the old WCG. There are Many COGs: Why Support the Living Church of God? This is an article for those who wish to easily sort out the different COGs. It really should be a MUST READ for current and former WCG members or any interested in supporting the faithful church. It also explains a lot of what the COGs are all about. The Philadelphia Church Era was predominant circa 1933 A.D. to 1986 A.D. The old Radio Church of God and old Worldwide Church of God, now basically the Living Church of God. Liberius, Bishop of Rome from 352-366 A.D. While the Catholics, Orthodox, and Protestants like to act like every “Christian” long believed in the trinity, (even though that doctrine was not finalized for them until a council in 381 A.D.), the truth is that even the primary leaders of the Romans and Greeks denied the divinity of the Holy Spirit as late as the mid-4th century. 245 The apostolic faith concerning the Spirit was announced by the second ecumenical council at Constantinople (381) (Catechism of the Catholic Church. Imprimatur Potest +Joseph Cardinal Ratzinger. Doubleday, NY 1995, p. 72). The language of the New Testament permits the Holy Spirit to be understood as an impersonal force or influence more readily than it does the Son…The attempt to develop an understanding of the Holy Spirit consistent with the trinitarian passages…came to fruition at Constantinople in 381. (Brown HOJ. Heresies: Heresy and Orthodoxy in the History of the Church. Hendrickson Publishers, Peabody (MA), 1988, p. 140). 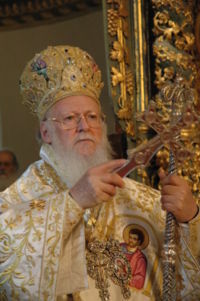 Since the Council of Constantinople (381), which condemned the Pneumatomachians (“fighters against the Spirit”), no one in the Orthodox East has ever denied that the Spirit is not only a “gift” but also the giver–i.e., that he is the third Person of the holy Trinity” (Serbian Orthodox Diocese of Raska and Prizren. Basic Doctrines: Holy Spirit. http://www.kosovo.com/doctrine1.html#Holy%20Spirit 8/20/05). But what is also interesting is that many, if not most, in the mid-4th century (including the Patriarch of the Orthodox and the “Pope” of the Roman Catholics”) considered denying the divinity of the Holy Spirit to be sound doctrinally! A name frequently given to the conservative majority in the East in the fourth century…showing that the very name of father implies a son of like substance…rejected the Divinity of the Holy Ghost (Chapman J. Transcribed by Douglas J. Potter. Semiarians and Semiarianism. The Catholic Encyclopedia, Volume XIII. Published 1912. New York: Robert Appleton Company. Nihil Obstat, February 1, 1912. Remy Lafort, D.D., Censor. Imprimatur. +John Cardinal Farley, Archbishop of New York). The expression “the East” refers to the area also known as Asia Minor. It was always at least as important as Rome among those that professed Christ for the previous centuries (as well as for many later centuries)–and notice that MOST of those living there WERE Semi-Arian–including Macedonius, who is in the list of successors of the Ecumenical Patriarchate of Constantinople (the primary “see”, if you will, within the Eastern Orthodox faith). But the Orthodox (who like to claim that theirs is the original church and that it did not change) do not seem to realize that their leaders and members WERE NOT trinitarian until the late 4th century. Semi-Arians…hold the truly orthodox view of the Son, that he was forever with the Father…but has been begotten without beginning and not in time…But all of these blaspheme the Holy Spirit, and do not count him in the Godhead with the Father and the Son (Epiphanius. The Panarion of Epiphanius of Salamis, Books II and III (Sects 47-80), De Fide). Section VI, Verses 1,1 and 1,3. Translated by Frank Williams. EJ Brill, New York, 1994, pp.471-472). So, it should be abundantly clear that until the latter part of the 4th century, many (if not most) who professed Christ in Asia Minor and even Rome held to some type of a binitarian view and at least one Pope (Liberius) and one Patriarch (Macedonius) accepted that as sound. Have you been taught this before? Liberius (352-366)…the signing of a document that contained a formulation very close to the Arian thesis…he was criticized by many (Athanasius, Hilary of Poiters, Jerome) who saw this submission as a weakness due to fear of death (Lopes A. Translation by Charles Nopar. The Popes. Pontifical Administration, Rome, 1997, p. 12). Fortunatianus, an African by birth, bishop of Aquilia during the reign of Constantius, composed brief Commentaries on the gospels arranged by chapters, written in a rustic style, and is held in detestation because, when Liberius bishop of Rome was driven into exile for the faith, he was induced by the urgency of Fortunatianus to subscribe to heresy. (Jerome. De Viris Illustribus (On Illustrious Men), Chapter 97). 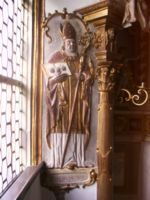 So, it seems that while later Catholics believe that Liberius was pressured to appear to be Semi-Arian from imperial forces, that perhaps he was simply persuaded (or perhaps even was always Semi-Arian). Would a true “apostolic successor” hold a position that is now condemned by his own church as heresy? If not, then Liberius (as only one such example) disproves the notion of an unbroken succession of bishops from Peter–hence Liberius is one more example of why the Catholics truly do not have apostolic succession (Macedonius, Bishop of Constantinople, also is another that disproves the Orthodox claim to succession). But the fact is that at least one bishop of Rome (Liberius), one bishop of Constantinople (Macedonius), and many other 4th century Greco-Roman bishops were still, at least partially, Semi-Arian–that is, they denied that the Holy Spirit was the third divine person in a trinity. While we in the Living Church of God do believe in the Father, Son, and the Holy Spirit (Matthew 28:19), we do not believe that the Holy Spirit is the third divine person in a trinity as a council in 381 declared. Roman Catholic and Orthodox theologians agree in recognizing a certain anonymity characterizes the Third Person of the Holy Trinity. While the names Father and Son denote very clear personal distinctions, are in no sense interchangeable, and cannot in any case refer to the common nature of the two hypostases, the name Holy Spirit does not have that advantage. Indeed, we say that God is Spirit, meaning by that the common nature as much as any one of the persons. We say that he is holy…Taken in itself, the term Holy Spirit thus might be applied, not to a personal distinction…In that sense, Thomas Aquinas was right in saying that…the name Holy Spirit has been given to him…we find an image of the economy of the Third Person rather than an image of his hypostatic character: we find the procession of a divine force or spirit which accomplishes sanctification. We reach a paradoxical conclusions: all that we know about the Holy Spirit refers to his economy; all that we do not know makes us venerate him as a person (Clendenin D.B. ed. Eastern Orthodox Theology, 2nd ed. Baker Academic, 2003, pp. 165-166). The above is quite an astounding admission! The main trinitarian groups admit that the Holy Spirit is simply a procession of a divine force and that it is venerated as a person based upon what scripture does not say. Did you know all of this? If not, perhaps you had better look into this further. Which Is Faithful: The Roman Catholic Church or the Living Church of God? Do you know that both groups shared a lot of the earliest teachings? Do you know which church changed? Do you know which group is most faithful to the teachings of the apostolic church? Which group best represents true Christianity? This documented article answers those questions. The latest issue (May 31, 2008) of The Journal is now out. It has information about the capture of the ten “lost tribes”, a World Net Daily article defending the Sabbath, various letters, a really bizarre ad claim, some Feast of Tabernacles sites, an opinions about how the old WCG became Protestant, and an announcement about Living University. Author Rea, a COG member who lives in Kendallville, Ind., does not rehash or belabor the migrations of Israel, as many of us believe, from the Middle East to Northwestern Europe. That is well covered by other modern authors…What Mr. Rea does do is flesh out what happened to the northern 10 tribes (“lost Israel”) in the decades after the remnants of the house of Israel (house of Omri, or Beth Khumri) were finally subjugated about 721 B.C. and relocated to the frontiers of the Assyrian Empire. One of the Roman names for this “Invincible Sun” god in the days of the apostles was Mithras. There are striking similarities between the ancient worship of Mithras and today’s Christianity, leading some to think early Christians adopted Sunday worship from heathen customs. Well, since true Christians never taught Sunday (see Sunday and Christianity), Christmas (see What Does the Catholic Church Teach About Christmas and the Holy Days? ), the trinity (see Did the True Church Ever Teach a Trinity? ), the immortal soul (see Did Early Christians Believe that Humans Possessed Immortality? ), it should be clear that it was the Greco-Roman confederation adopted the practices of many pagan groups, including the followers of Mithras. CHARLOTTE, N.C.—The new online Living University sponsored by the Living Church of God, the latter founded by Roderick C. Meredith in 1998, kicks off this fall. LU’s Web site, at livinguniv. com, provides information such as courses of study, degrees available and faculty and staff curricula vitae. Classes begin Aug. 13, 2008, with registration from mid-June through Aug. 12. Offered will be associate’s and bachelor’s degrees in theology, a diploma in biblical studies and a certificate in New Testament studies. On the faculty and administration, besides Dr. Meredith, professor of theology, are Michael Germano, LU president (the only full-time faculty member); Richard Ames, speech and theology; Janth B. English, computer systems; Brenda Germano, admissions; David Maas, English; Sheldon Monson, physical education; Melodee Overton, family studies, Annette Triplett, nutrition; Douglas Winnail, biology and health; and Scott Winnail, health. Not everyone on the faculty is an LCG member. For example, Dr. Maas and Mrs. Overton, both of whom live in the Big Sandy, Texas, area, are members of the Church of the Great God and Church of God Big Sandy, respectively. For LU information write 2301 Crown Centre Dr., Suite A, Charlotte, N.C. 28227, U.S.A., or admissions@livinguniv.com. Or phone (704) 844-1966. LU had a successful first year and expects that its second year, that begins in the Fall of 2008, will be even more successful. The problems facing the UCG (and most other COGs) regarding its governmental policies were foretold long ago. You find their origins from the time of Adam and Eve, beginning with the tree of the knowledge of good and evil. While that portion of the letter is true, having read the entire letter, I suspect that the writer of the above may not agree with what is in the article Polycarp, Herbert W. Armstrong, and Roderick C. Meredith on Church Government. Perhaps Rod should lay out clearly for us what he thinks about the then recently baptized Stanley having been leapfrogged up to an evangelist rank minister, the highest office other than apostle… To this day the ministers are loath to admit their opinion regarding that malappointment, let alone his uninspired Tkach appointment just a few years later. Rod owes us a clear statement of his opinion on these matters. His negative relationship with Joe Tkach Sr. is well known. Meredith’s refusal to ordain Joseph Tkach and Stanley Radar as evangelists ultimately led to his departure in 1992″ (p. 217). It is interesting to notice that Dr. Meredith himself headed up Ministerial Services until J. Tkach somehow got that job, that Dr. Meredith refused to ordain J. Tkach prior to that as an evangelist. Thus, the fact that it was Roderick C. Meredith who REFUSED to ordain both Stanley Radar and Joseph Tkach Sr. as evangelists when he was being pressured to do so, should demonstrate to any with eyes to see and ears to hear that Roderick C. Meredith’s opinion was that he did not believe that they qualified. Exactly 1 YEAR, FROM THE “DAY” OF THE DEATH OF MR. HERBERT W. ARMSTRONG (after one year of mourning for the fallen leader), THE NEW WATCHMAN, APOSTLE, SERVANT, LEADER WAS SET APART TO RE-ESTABLISH GOD’S 1ST CENTURY TRUTH, WITHOUT ANY ADDITIONS OR DELETIONS OF CHRIST’S OR PAUL’S 1ST CENTURY TEACHINGS AND PRACTICES. One year to the very Day! January, 17, 1987, after the death of Herbert Armstrong, God raised up William F. Dankenbring to “Cry aloud, spare NOT, and show My people their SINS” (Isa. 58:1-2). I rarely cover TPM as I am not convinced that it is truly part of the COG at all. Hence, I do not believe that it is the replacement of the old WCG. The fact is that William Dankenbring has written much against Herbert W. Armstrong and was put out of old WCG. William Dankenbring, in addition to being what I consider a false prophet, has made some many doctrinal changes and prophetic errors that no one should consider his TPM to be a faithful church (please see Teachings of Triumph Prophetic Ministries). But, he like one or two others in ADVERTISEMENTS in The Journal, claims to be the true successor church. Sadly, some have been misled by him and others who also make such advertising claims in The Journal. Triumph Prophetic Ministries, which God led me to begin in early 1987, is not a “church” as such…Triumph Prophetic Ministries is not a Church! It is merely a MINISTRY — a service OF the “church”! The actual name is “Triumph Prophetic Ministries (Church of God)” (Dankenbring WF. Which Church is God’s True Church? And Where Is God’s Real End-Time Work, Today? http://www.triumphpro.com/where_is_god_s_real_church_and_work.htm, January 10, 2004). Thus based upon William Dankenbring’s own writings, it is not possible that it became the “replacement Church of God” from 1987 onwards. William Dankenbring, in my opinion, has a history of highly changing his positions after the fact. Nor do I consider him to be an apostle. Evangelicalism is the dominant faction within American Protestantism. It includes the majority of conservative Protestant churches, with more than 100 million followers in North America alone. Dispensational theology is based on this extreme dualism of earthly vs. heavenly. As we demonstrate in our new book, dispensationalism is a repetition of a similar dualism first promoted in the 1st century by gnostic Christianity. Where did Gnostic Christianity come from? Space is limited in this article, but consider this one curious fact. Gnostic Christians bitterly hated the Old Testament God of the Jews. They went so far as to condemn Him as the enemy of mankind for causing the Flood. Supposedly, they claimed, He was trying to wipe out an ancient religious truth that exposed Hebrew religion as a fraud. The people who survived in Noah’s Ark supposedly preserved that truth and passed it down to the 1st century A.D. when gnostic Christians once again preached freedom from the evil God of the Jews. It was the Gnostic Marcion that perhaps was the first Protestant (for more information, please see the article Marcion: The First Protestant?) and apparently was the first associated with Christianity to attempt to do away with the Sabbath. For other articles, a subscription is required. The editor of The Journal is Dixon Cartwright, a former member of WCG–The Journal is NOT a publication of the Living Church of God. Ronald Weinland spoke in San Jose, California today. He once again discouraged people for traveling much for the 2008 Feast of Tabernacles (see also Ronald Weinland Continues to Preach). He did say a couple of appropriate comments about the Apostle John. Ronald Weinland then indicated that God is working through one person–meaning himself–he is delusional (see Ronald Weinland is Delusional). He continued to indicate that God directly is working through him. While Ronald Weinland is also reaching less according to Quantcast (another independent internet rating service), it only goes through the end of June. It shows that by the end of June he was reaching approximately 40% less people than he was in early May 2008. Since many of his “prophecies” have proven to be false, it is good that he is reaching less people. Hopefully, he will either quickly repent or stop preaching like he promised to do many times once certain dates (first April 17th, then June 8th and then July 16th) past if there was no massive destruction due to nuclear bombs in the “port cities” of the United States–something that still has not come to pass. In that same interview, Ronald Weinland basically he also said that he would not follow Ellen White (SDA/LCG Differences: Two Horned Beast of Revelation and 666 ) or others and recalculate an excuse or a different date, but that if it did not happen he when and how he said it, he would admit that he is a false prophet. Yet, he still has never admitted that he is a false prophet–and he has recalculated his dates. 21 And if you say in your heart, ‘How shall we know the word which the LORD has not spoken?’– 22 when a prophet speaks in the name of the LORD, if the thing does not happen or come to pass, that is the thing which the LORD has not spoken; the prophet has spoken it presumptuously; you shall not be afraid of him (Deuteronomy 18:21-22). Ronald Weinland has repeatedly spoken presumptuously. Since God’s prophet would not be so false, it is a good thing that Ronald Weinland’s internet reach is dropping. Why Be Concerned About False and Heretical Leaders? There have been many false leaders–and Ronald Weinland is one of them–here is some of why you should be concerned about them. Deal Leading to Psalm 83? Is there anything that indicates that a deal leading to the fulfillment of Psalm 83 is happening in the 21st century like the old WCG used to teach? Before looking at a recent news story, let’s first see a story from the past. The prophecy of Daniel 11 details events…But who is the “king of the south”?…Just as there is yet to be a final “king of the north”–called in the Bible symbolism “the beast”–who will arise as superdictator over an end-time European confederation, there may very well emerge in the same manner a final “king of the south”–an overall leader of an Arab-Moslem confederation, possibly bearing the very title Mahdi. And these two individuals will eventually find themselves in a head-to-head confrontation–possibly over oil–which will ultimately lead to devastating war in the Middle East! King David of ancient Israel in a prophetic psalm (Psalm 83) provides additional insight into the Mideast picture. Germany (Assyria in Bible prophecy) and perhaps the rest of Europe will be in league in the future with a union of Arab nations–a vast confederacy bound together in an effort to crush out the name “Israel” from the face of the earth! This Arab-Moslem confederacy may very well be the previously mentioned “king of the south”–a sphere of power encompassing vast portions of the Islamic world. 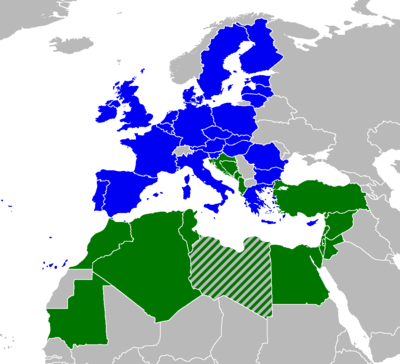 But in the end, this European-Arab alliance will prove short-lived…And the king of the north shall come against him [the king of the south]…The Arab-Moslem Confederation will, of course, be thrown into chaotic disarray in the fact of invasion. So, that was the position of the old WCG nearly 30 years ago. PARIS — Leaders of 43 nations with nearly 800 million inhabitants inaugurated a “Union for the Mediterranean” on Sunday, meant to bring the northern and southern countries that ring the sea closer together through practical projects dealing with the environment, climate, transportation, immigration and policing. This is a HUGELY important step as it leads the way for future cooperation between the Europeans and those of Northern Africa. This group now essentially has a presidency of the North (currently represented by the French President) and the presidency of the South (currently represented by the Egyptian President). 27 Both these kings’ hearts shall be bent on evil, and they shall speak lies at the same table; but it shall not prosper, for the end will still be at the appointed time (Daniel 11:27). 2 For behold, Your enemies make a tumult; And those who hate You have lifted up their head. 3 They have taken crafty counsel against Your people, And consulted together against Your sheltered ones. 4 They have said, “Come, and let us cut them off from being a nation, That the name of Israel may be remembered no more.” 5 For they have consulted together with one consent; They form a confederacy against You: 6 The tents of Edom and the Ishmaelites; Moab and the Hagrites; 7 Gebal, Ammon, and Amalek; Philistia with the inhabitants of Tyre; 8 Assyria also has joined with them; They have helped the children of Lot (Psalm 83:2-8). The “kings” in Daniel 11:27 are the kings of the North and the South. In Psalm 83 we see that a predominantly Arab block of nations (thus I believe that more Arab nations will likely be added to this Union) will conspire to destroy the descendants of Israel (most likely the nation of Israel and the Anglo-American nations), yet Assyria (modern Germany) will get involved. Thus, this Union for the Mediterranean may be an important first step in the fulfillment of these prophecies. Posted in Prophecy | Comments Off on Deal Leading to Psalm 83? This is one of the most impressive buildings in the area of any of the seven churches of Revelation 2 & 3. However, it has been recently and massively rebuilt as its original condition was in ruin. And while it and its size are impressive, it no longer functions as it once did. It is sad that CG7 wishes to pejoratively label the old WCG a cult, but as it has moved closer towards Protestantism, I suppose this is to be expected. I would also like to add that the true Church did keep the Holy Days throughout history (and CG7 itself still keeps Passover). I am working on something related to the Anglo-biblical connection and expect to post something on that at a later date (and yes, I believe that the New Testament shows that the apostles did understand that there were also Israelites that were not of the tribe of Judah). DUBAI (Reuters) – Egypt, which stopped gold production in 1958, will produce 8 tonnes of the metal from mines in the eastern desert in 2009, the chairman of the Egyptian Geological Survey and Mining Authority said on Monday. The Arab world’s most populous country, which once considered gold the skin of the gods, is revisiting ancient gold deposits, some unworked for 2,000 years. “We have been producing gold since last December and one of the mines that started production has a reserve of 13 million ounces of gold,” Hussein Hammouda said. “Once this mine is fully operational, it won’t be only one of the biggest in Africa, but rather one of the biggest worldwide,” he told Reuters in a telephone interview from Cairo. Egypt’s gold production stopped in the late 1950s as the volume mined was considered too small to be profitable. The country produced 7.4 tonnes from 1902 to 1958. “We are planning to produce 8 tonnes of gold in 2009, which is more than what the country had produced in a century,” Hammouda said. “This is only the beginning … and we are planning to become a major producer in the region as we explore other mines we have,” he said. 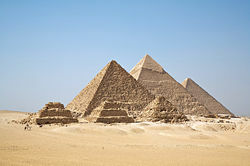 As the news item indicates, until this mine was reopened, it was not believed that there was much gold in Egypt. Production levels this high, however, do demonstrate the value of this gold now, and in the near future. 40 At the time of the end the king of the South will engage him in battle, and the king of the North will storm out against him with chariots and cavalry and a great fleet of ships. He will invade many countries and sweep through them like a flood. 41 He will also invade the Beautiful Land. Many countries will fall, but Edom, Moab and the leaders of Ammon will be delivered from his hand. 42 He will extend his power over many countries; Egypt will not escape. 43 He will gain control of the treasures of gold and silver and all the riches of Egypt (Daniel 11:40-43, NIV). With financial instability facing the world, having the King of the North acquire gold stocks will help show the world that his European Empire is the economic powerhouse of the world at that time. 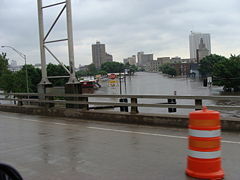 Flooding in Iowa Affected More Than Urban Housing–Is Texas Next? BROWNSVILLE, Texas (July 23) — Hurricane Dolly’s leading edge arrived on the Gulf Coast early Wednesday, packing heavy rain and powerful winds that could strengthen before the center of the storm hits towns straddling the Texas-Mexico border later in the day. National Weather Service radar indicated a tornado 18 miles northeast of the Harlingen Valley Airport on Wednesday morning. A tornado watch was in effect for several counties in the area until 10 a.m. CDT Wednesday. Cities and counties in the Rio Grande valley were preparing Tuesday night as officials feared heavy rains could cause massive flooding and levee breaks. Texas officials urged residents to move away from the Rio Grande levees because if Dolly continues to follow the same path as 1967’s Hurricane Beulah, “the levees are not going to hold that much water,” said Cameron County Emergency Management Coordinator Johnny Cavazos. There was intermittent light rain late Tuesday in Brownsville, and Cavazos said he expected outer bands to move over the area overnight. Charles Hoskins, deputy emergency management officer for Cameron County, said there were nearly 2,000 people in six shelters in the county. In Hidalgo County, a little bit farther inland, six shelters holding about 900 people were open, said Cari Lambrecht, a county spokeswoman. She said people living in low-lying areas were encouraged to come to shelters. BROWNSVILLE, Texas (July 23) — Forecasters say Hurricane Dolly has made landfall near South Padre Island in Texas. Dolly is a Category 2 storm with top sustained winds near 100 mph. Forecasters warned of up to 15 inches of rain that could produce flooding and breach levees in the heavily populated Rio Grande Valley. Thunderstorms were attributed to Dolly as far away as Houston, 400 miles up the Texas coastline. The USA has had a lot of flooding and levy problems this year. You are currently browsing the Church of God News weblog archives for July, 2008.